“You can be so far away from home and think that maybe you’re forgotten about,” said Wendell Rome, chief of chaplain service for the Dayton VA Medical Center. DAYTON, Ohio (WDTN) – Veterans and their families gathered for an annual service Sunday night to honor veterans and those currently serving our country. The Dayton VA Medical Center hosted its annual Christmas Eve vigil. As Christmas carols filled the lobby, it brought back memories for veterans like Marvin Schroeder. “We were all brothers and sisters separated from our own families,” said Schroeder, who served in the Air Force during the Vietnam war. Schroeder recalls those Christmases spent with his family of fellow soldiers. “We made the celebration all together, and we really made the best of what we had,” he said. 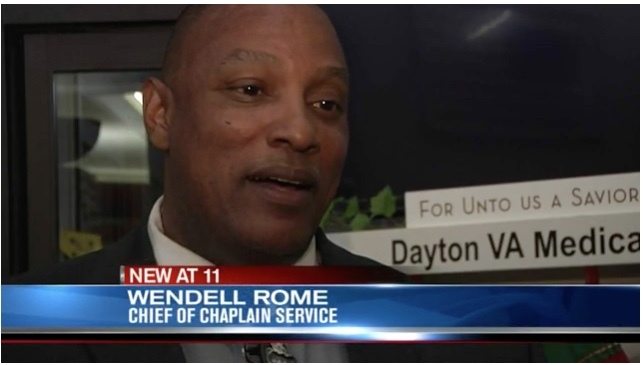 Chaplain Rome said he knows the feeling all too well. A veteran himself, he remembers spending Christmas in Iraq.